A few girls left from our original group! Angela • Thu, Sep 18 2014 • 32yo. TTC #1 since May/2013. IVF oct-nov/15 BFP - baby #1 was born on 07/25. Today I was browsing the web looking for a present to a friend. She is also TTC. 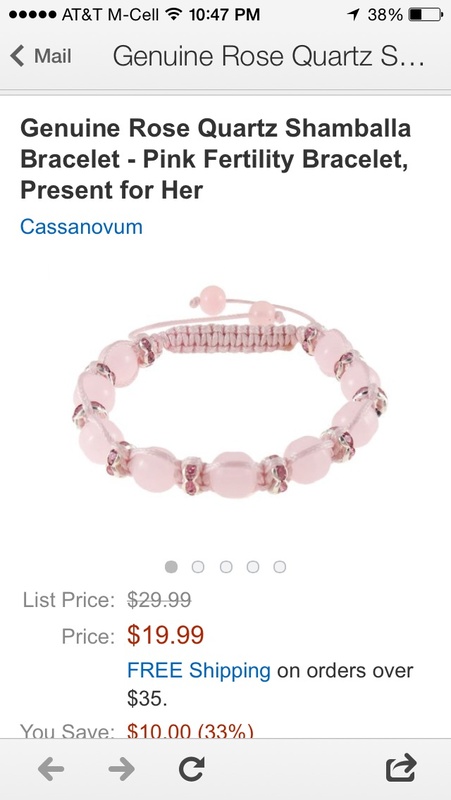 I was about to buy her a book when I remember of the fertility jewelry. I bought one for her and one for me.